THE WOODLANDS, Texas -- The first few years of a child’s life is a time of incredible growth and development. Positive learning experiences in a variety of settings, such as the home and a quality childcare center, is essential. Children’s Learning Adventure supports a child’s understanding of themselves, through the development of their self-esteem and independence; and others, through structured and nurturing learning experiences that guide the child to see the world around them and develop empathy, patience, perseverance, and other important life skills. Purposeful involvement with a quality early learning program will lead to social and academic success in the future. A child’s character development is formed through interactions, activities, and relationships. Young children begin to adopt qualities and characteristics at a very young age. It is important for them to engage in activities that shape the development of their character. Children’s Learning Adventure accomplishes this through modeling, role play, a character development program, and their community outreach program. These opportunities are integrated into their curriculum to provide valuable skills to our students, promoting growth in their social and academic experience for years to come. 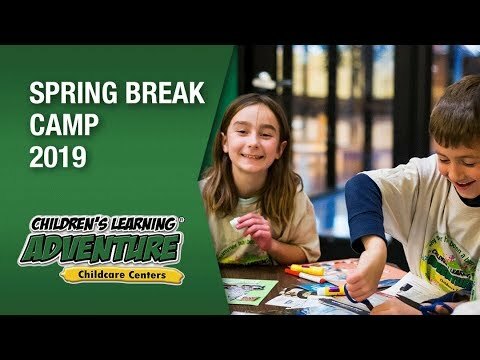 Children’s Learning Adventure in The Woodlands offers unique environments designed to capture a child’s imagination and encourages exploration. Their proprietary curriculum is STEAM based and is seamlessly integrated into every classroom. Each campus offers specialty classrooms and an outdoor playground that encourages students to actively engage in the learning process. Children’s Learning Adventure strives to make learning an adventure and encourage their students to actively participate in the learning process in a safe and welcoming environment.